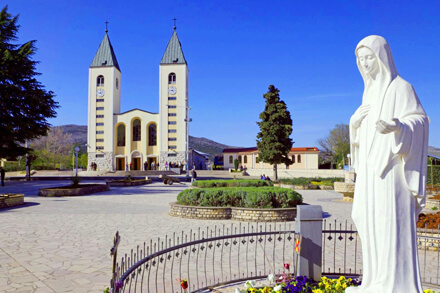 I have traveled on over 100 pilgrimages to this little village that is between Heaven and Earth- Medjugorje. 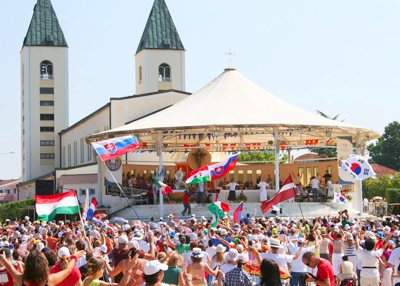 My first experience in Medjugorje I journeyed with my nephew, David, who was only 20 months old at the time. His father and I took David to Medjugorje looking for a miracle for David. I was the one who received the miracle of coming back to my faith through Our Lady's School of Love. I made a promise to help spread Our Lady's messages when I returned home. 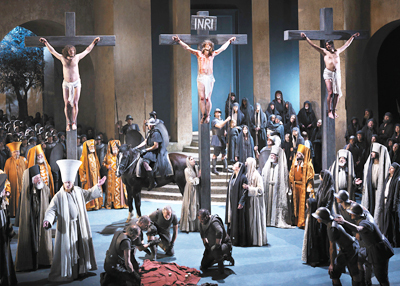 My immediate yes still burns deep in my heart to continue this wonderful work with a tremendous fire in my heart to bring others to pray as I didn't have a clue myself until my first visit there. 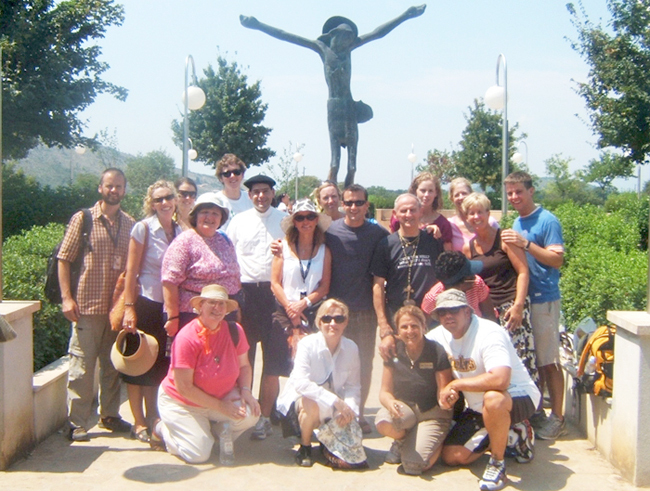 We have never traveled with another agency other than 206 Tours, from our first organized pilgrimage in April of 1987. If I ever come across a roadblock in our travels, which is rare, just one phone call to their emergency phone number is the confidence that we have been blessed with that it will be resolved immediately. 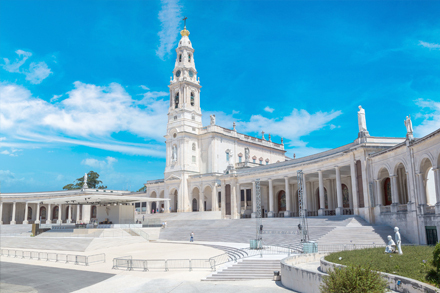 206 Tours is an incredible gift to all of our pilgrims as feeling that you are not only a member of Our Lady Queen of Peace Prayer Groups, but also part of 206 Tours family. Not only do we travel to many Sacred Shrines, like Fatima, Lourdes Garabandal, the Holy Land, Guadalupe, we have been to Greece, Turkey, Poland and Rome many times as well. We always have wonderful Marian Priests as our Spiritual Directors! Whether you live in New York, Anchorage Alaska, or Australia, when you travel with us, you will always be a member of Our Lady Queen of Peace Prayer Group and we will always be united in spirit and prayer for each other. 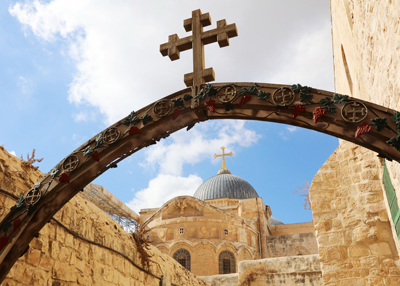 With love and prayers and deepest hope that you will join us on one of our spiritual journeys? One that will always be a treasure in your heart..